You know what I love about muffins? They are perfect little (or sometimes not so little) single-serving, portable snacks that you can pack a lot of goodies into. This muffin recipe is just that – which is why I have been making them for years! If you haven’t been introduced to teff it is time to check it out! 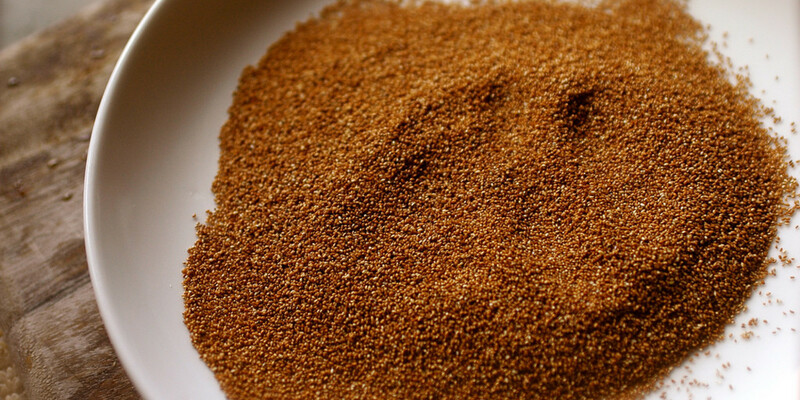 Teff is an iron-packed grain from Africa that is gaining popularity and accessibility as it is said to be the grain of choice for elite Ethiopian athletes. In addition to the benefits of easily absorbed iron, it also boasts high amounts of protein, fiber, omega-3 fatty acids, and calcium. Since many females in endurance sports can struggle to maintain adequate iron levels (vegan or not), adding teff to your diet is a great way to boost tissue iron levels ladies! Nutrient dense muffins to be enjoyed at any time of day. 1) Preheat oven to 350 degrees. Oil a 12-cup muffin pan. 2) In a medium sized mixing bowl, add the teff flour, tapioca flour, ground flax, baking powder, baking soda, xanthan gum, sea salt, cinnamon, and nutmeg. Whisk together well. 3) In another mixing bowl, whisk together the orange juice, applesauce, agave nectar, and oil. 4) Add the wet ingredients to the dry and whisk together. Then add the nuts, dried fruit, and grated carrots, and diced apples. Continue to mix with a large wooden spoon until all of the ingredients are combined. Be sure to not over mix the batter! 5) Spoon batter into oiled muffin cups and bake for about 25 to 30 minutes. 6) Cool muffins on a wire rack. This entry was posted in Friday Fuel, plant based nutrition, vegan nutrition and tagged Friday Fuel, gluten free, muffins, nutrition, plant based athlete, plant based nutrition, recipe, superfood, supergrain, teff, vegan, vegan athlete, vegan muffins, vegan nutrition by lljkline. Bookmark the permalink. Hhhhmmm, might this be your secret to speediness???? With more than 3 ingredients, this seems like a lot of work. Would you please just bake and FedEx to me? I will happily send payment. Haha sure! Let me started on that muffin delivery service!